iHeartRadio is giving one lucky KISS fan the experience of their dreams. 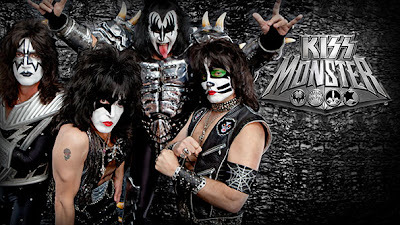 A grand prize winner and three friends will win a roundtrip to Orlando, where they will feel like a part of the band when they have their make-up done just like KISS to attend their concert, sitting in the front row! They will also get the chance to win $100,000 during halftime at the Arena Bowl by kicking a 25 yard field goal. Finally the winner will return home with an autographed bass, signed by Gene Simmons. Don't miss out on this once-in-a-lifetime experience!